Going to the rodeo parade. 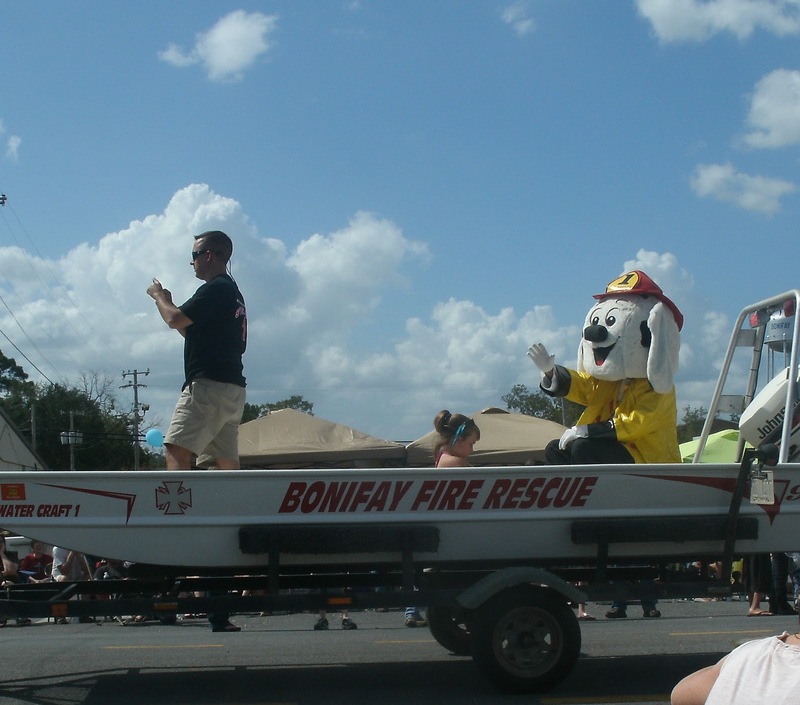 When I was growing up, my family owned a small vacation lake home a few miles down the road from small town Bonifay, FL in another even smaller town Vernon, FL. Since we don’t live too far from the Florida state line, we spent just about every weekend during the summer on the lake. We stopped many times to grab a bite to eat in Bonifay on the way there and back, and I always enjoy visiting there even now. 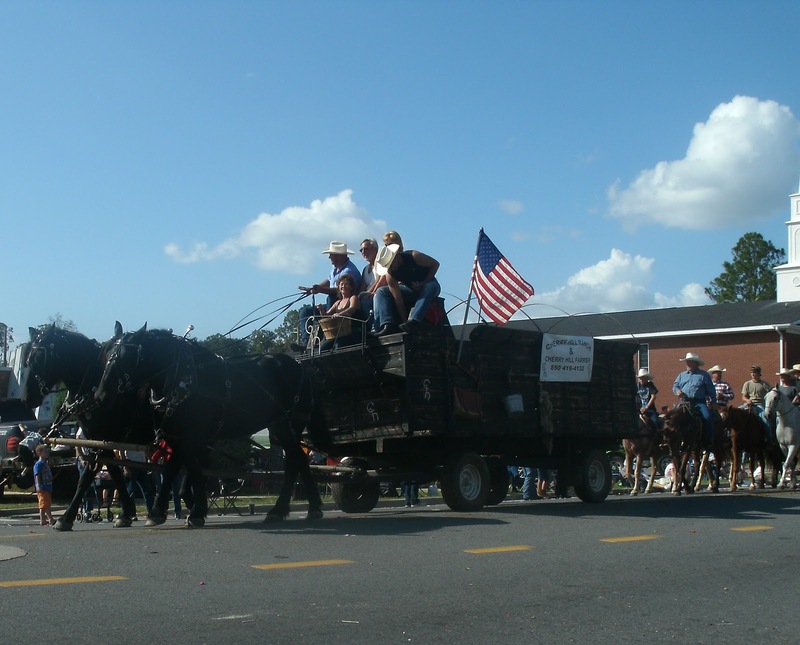 This past weekend we went on a short afternoon trip to Bonifay for the 67th Northwest Florida Championship Rodeo parade. 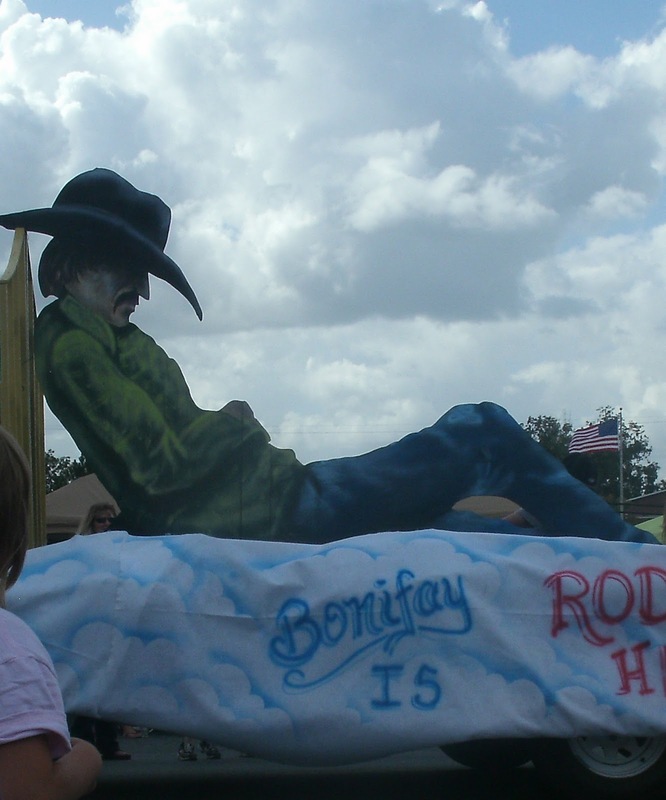 Even though we didn’t make it to the rodeo this year, the parade on Saturday is always a lot of fun all by itself and something we never fail to miss. The rodeo parade is a huge deal with what seems like almost as many horses in town as there are people and a carnival atmosphere with vendors on the side of the street selling crafts, t-shirts, tack and saddles, tupelo honey, funnel cakes, italian ices, boiled peanuts, and barbecue sandwiches to name a few things. So, I thought I would share a few pictures with all of you. We had such a good time, and of course there were so many tempting booths set up that we couldn’t possibly come home without buying something. My grandmother bought a jug of delicious tupelo honey (her absolute favorite) and I bought an Auburn decoration to put on the back door and a new lead for the donkeys. We also came home with brand new Dixie Outfitters t-shirts. Every year there’s a tent set up that sells them that tons of people always flock to, and it’s become a tradition of ours to always get new t-shirts before we leave for home. Unfortunately Auburn lost against Arkansas this past weekend. and mine is the one with the tractor and chickens on it (I was really wanting one with a donkey). Previous post: Little Mose is growing up. Next post: Mose is four weeks old. First, have a fantastic birthday Shell! Well, you had to check what “midges” were, now I’ve had to find out what funnel cakes are. They sound good. 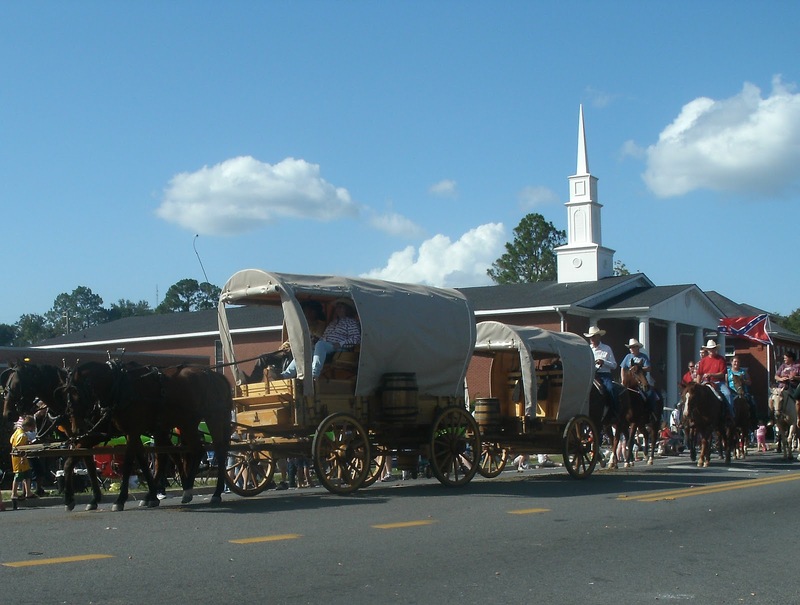 From your pictures, the Rodeo Parade looks great – glad you enjoyed it so much.